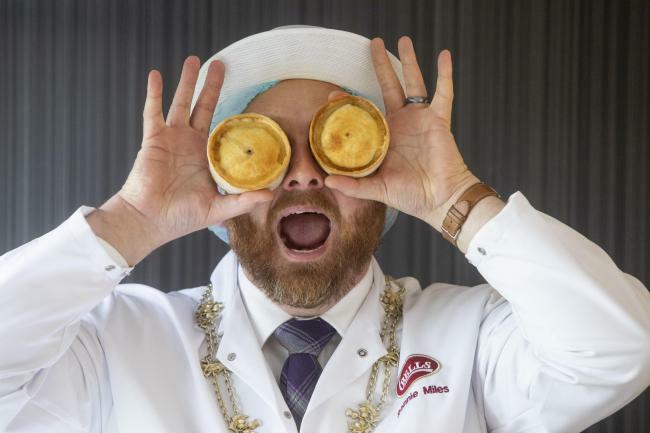 Following a day of judging in Dunfermline, by a panel of over 50 judges, we’re proud to say that Dales Butchers has secured a place on the shortlist for the 20th World Championship Scotch Pie Awards! Almost 500 products were entered into the 11 different categories and they were expertly judged on appearance, quality, consitency and taste. The winner will be announced at a prestigious luncheon on January 15 at the Westerwood Hotel, Cumbernauld. President of the Scottish bakers Ronnie Miles at the judging for the 20th annual World Championship Scotch Pie Awards in Dunfermline.